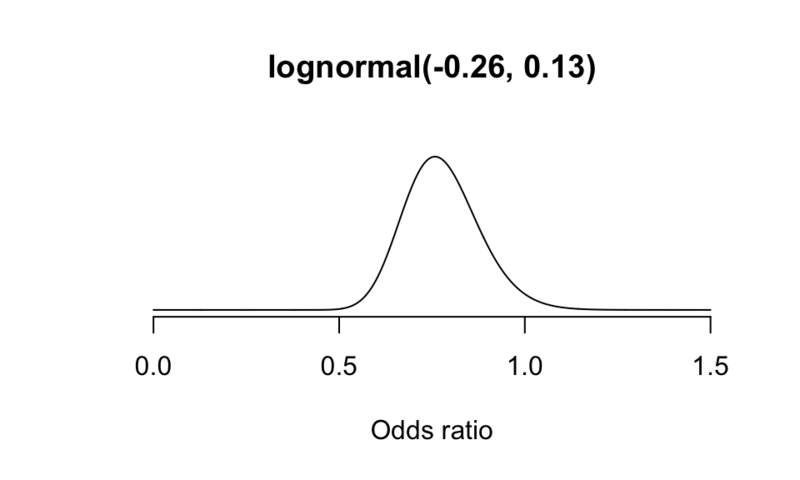 Everybody is a Bayesian. It’s just that some know it, and some don’t. 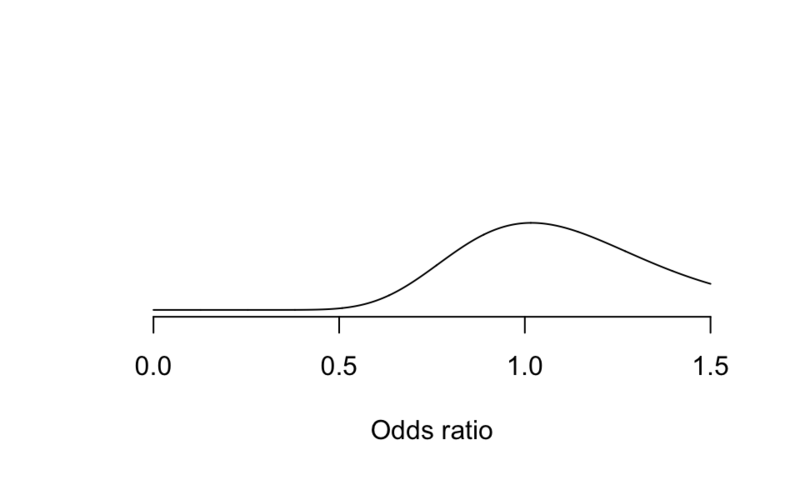 圖 80.4: Expert Prior probablity density: small reductions in mortality likely, no or large benefit unlikely. 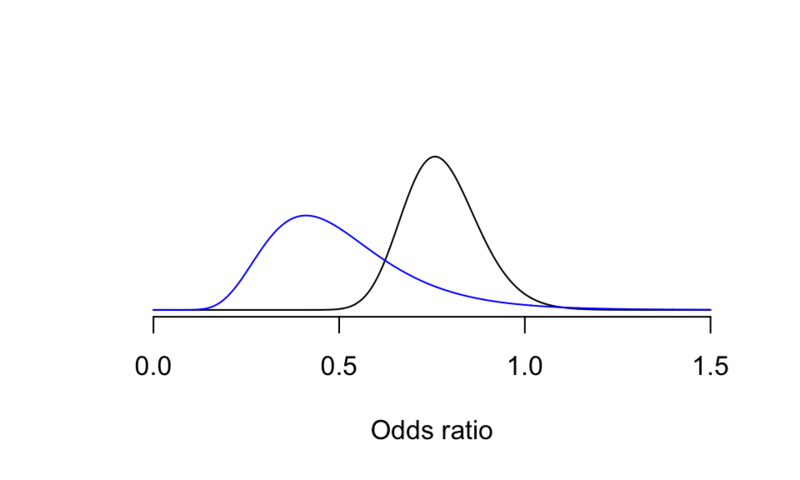 圖 80.5: Expert Prior probablity density: small reductions in mortality likely, no or large benefit unlikely, adding likelihood (blue) from the GREAT trial. 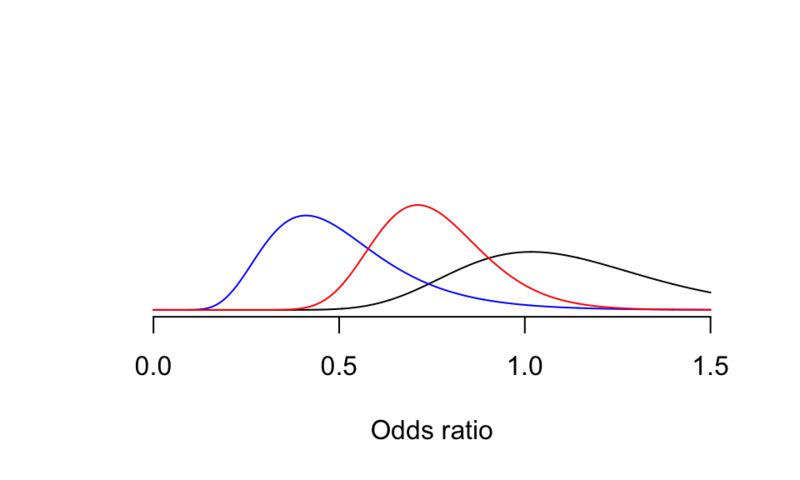 圖 80.6: Expert Prior probablity density: small reductions in mortality likely, no or large benefit unlikely, adding likelihood (blue) from the GREAT trial, and posterior distribution (red). 圖 80.8: Sceptical Prior probablity density, adding likelihood (blue) from the GREAT trial, and posterior distribution (red).